With the holiday weekend upon us who isn’t looking for a relaxing weekend of sun, swimming and some BBQ? Since I live in a city apartment and don’t have access to cooking outdoors year round, I can’t wait to get behind a grill this weekend to simply grill some burgers and chicken—nothing fancy. Beginning Memorial Day, we try to eat al fresco on the weekends as much as possible. With that in mind, I’ve been collecting recipes in a folder labeled “fit for summer.” Fit doesn’t necessarily mean the recipes are for the health-conscious. It means they’re recipes I’d want to take advantage of during the summer months; recipes that boast summer’s bounty: light colorful salads, chilled soups, fruit desserts and sauces for the grill. I’m armed and ready to experiment. 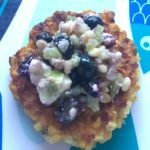 In my recipe exchange last week, I received a recipe for Corn Cake that will be making its way into our mealtime rotation. 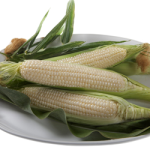 We adore grilled corn on the cob, but, since corn doesn’t reach peak season till August, we’re willing to wait and substitute our craving with other corn-based dishes. 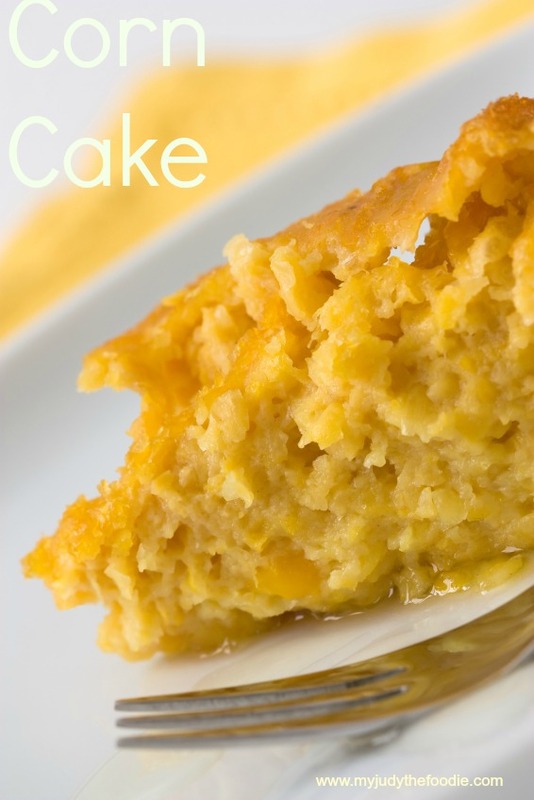 This dish is called Corn Cake for a reason and should not be confused with Corn Bread. It’s not spongy and moist like the traditional bread. In fact, because it uses one can of condensed milk, it’s as sweet as a piece of chocolate cake, except, it tastes like CORN. 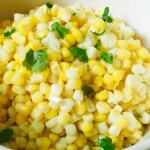 Honestly, this recipe is for the truest of corn lovers and should be served after the main meal has concluded. 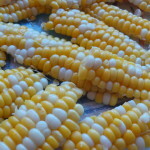 It’s deceiving since it’s not chocolate or ice cream like traditional desserts but, trust me, you’ll want to cap off your meal with this sweet corn delicacy. Note: we ate the corn cake the following day right out of the fridge and liked it just as much! If you’re not into sweetness, by all means, cut the can of condensed milk in half and use the unsweetened variety. Pour mixture into greased 9×9 baking dish.